1. Smooth printing with nozzle clogging-free, settling-free, and bending-free. 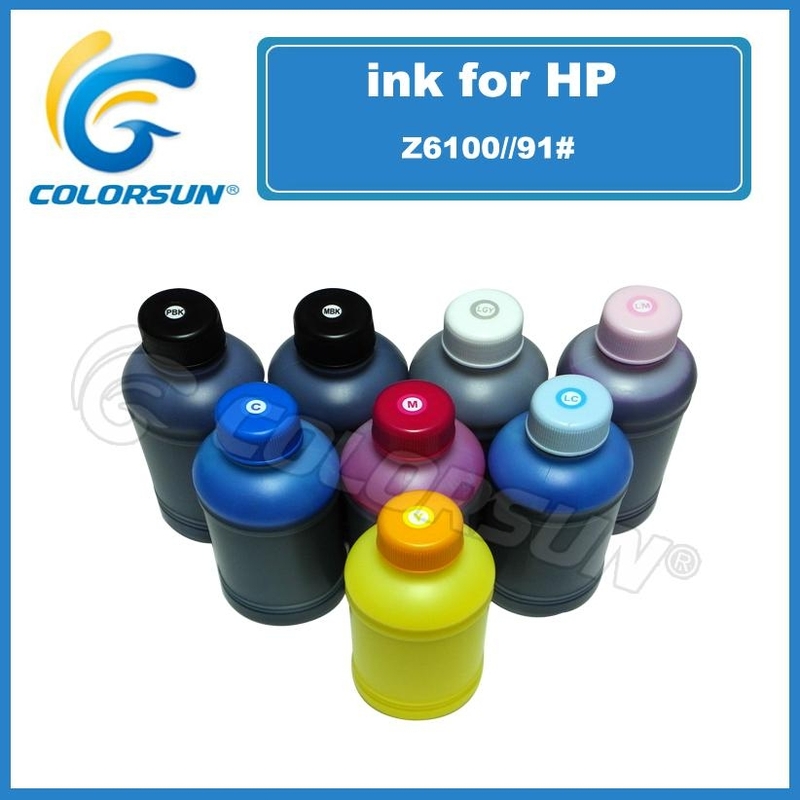 2.Our ink guarantees maximum color gamut and photo-realistic printout. 3.The pigment ink for Hp Designjet z6100 has super weather resistant.The printout will not fade up to 2 years for outdoor under sunlight directly exposure and up to 80 years for indoor storage. 4. 8 colors make photos more sharp and complete photo reality. 5. Compared with dye based ink, the unti-UV degree for pigment ink is higher than 7 . It is water proof, sunshine resistant, scratch resistant . 6.We have ink volum: 500 ml, 1000ml, 5 kg(l), 20 kg(l). 1.A large order can get a favorable discount. 2.Low price with high quality. 4.The stability of pigment ink can compare with the oringial one. 6.Safe packing to insure the product reach compeletely. 7. We promise if any problem with the Brand-new product,we replace it with a new one.